In May, the Supreme Court ruled that the Irish State must be held liable for the claims. THERE ARE OVER 1,500 active claims outstanding following the collapse of Setanta Insurance. In May, the Supreme Court ruled that the Irish State must be held liable for the outstanding claims, which could cost in the region of €90 million. Maltese-based insurer Setanta was wound up in April 2014. In the aftermath it was announced that those insured who had been struck by uninsured drivers would not be covered. Fianna Fáil’s Finance Spokesperson Michael McGrath has said “no clarity has been provided for both claimants and former policyholders” since the Supreme Court decision over six months ago. McGrath said the result of this could mean former policyholders “who took out their insurance in good faith” could be left personally liable for the balance of outstanding claims. He said some former policyholders have received letters from solicitors informing them they could be “personally on the hook”, something that is “causing enormous stress for people”. I have met and spoken with people caught up in this nightmare and some of the stories are heartbreaking. “Claimants also continue to be left completely in lurch. There remain 1,576 active claims outstanding and it is not clear when these claims will be settled. Some claimants have been asked to sign waivers pledging not to go after policyholders for the balance of outstanding claims. Understandably, claimants are reluctant to do this so many settlement cases have stalled completely as a result,” McGrath said. He has called on the government to speak to representatives from the insurance industry to “collectively arrive at a solution whereby the full bill is settled and settled quickly”. McGrath added that legislation is “urgently needed” to allow the Insurance Compensation Fund (ICF) to pay claims more frequently than once every six months, which is currently the case. When McGrath raised the issue in the Dáil recently, Finance and Public Expenditure Minister Paschal Donohoe said the uncertainty that followed the collapse of Setanta “highlighted weaknesses in the existing insurance compensation framework in Ireland”. A spokesperson for Deloitte, which acted as receiver for Setanta, told TheJournal.ie the company was “not in a position to comment on this matter at this time”. Donohoe said estimating the number of former policyholders of the company that could be made personally liable for outstanding claims is “complex”. 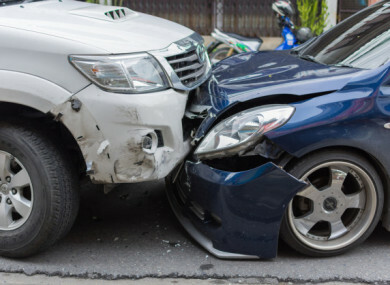 “This is due to a number of issues, for instance there may be still ongoing disputes around liability between the policyholder and the third-party claimant, and in some instances, there may be more than one claim against a single policyholder which means that the active claim figure below may not equate to an equivalent amount of policyholders,” he said. The minister noted that 573 claimants have been paid compensation from the ICF to date, subject to the 65%/€825,000 limits. Donohoe noted that legal proceedings between the Law Society of Ireland and the Motor Insurers Bureau of Ireland (MIBI) commenced after Setanta was liquidated. To provide for a more formal role for the State Claims Agency in the event of a failure of an insurance company resulting in a draw on the ICF. Email “Former Setanta policyholders worried they're 'personally on the hook' for outstanding claims ”. Feedback on “Former Setanta policyholders worried they're 'personally on the hook' for outstanding claims ”.